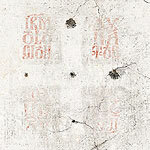 IRMOLOGION is the ominous foray into the dark territory of experimental electronic by a disciple of the Russian orthodox non-conformist doctrine, a composer who accumulated a respectable number of honors and distinctions in popular music in the eighties, then left off culture-establishment at the peak of his professional career and cloistered himself in a provincial monastery. It wasn’t until winter 2000 when we exchanged letters to discuss if he still had an interest in composing and recording music. The reaction was positive. However, my respondent specified that he "would consider creative activity as a relief from a burden of false tenets one had to embrace vindicating his carnal being, the abyss one had to fall so as to let the Godhead climb up in him”. This amazing person had definite Faith and Devotion that, in some way, helped us to solve a major problem – we got over a certain lack of necessary technical equipment when Andrei Suchilin proffered his assistance at Objective Music studio. The result of more than two-year laborious work was defined as IRMOLOGION. "Dynatos" is the original Greek word which means loud, mighty, possible, potent, potential, powerful, robust, strong, vigorous… Though this term was often used in Byzantium legal manuscripts dated to IX-X centuries to define big land-lords or significant persons in imperial ecclesiastical hierarchy, there is a hypothesis that a major criteria of belonging to dynatos was not property itself but enormous temporal and spiritual power which one had got from hands of the Lord. This work should be percept as a sermon on what a person is able to do but chooses not to do, on what is possible for humans to do but they don’t want to do, and on what is impossible for them to do even if they want to choose it. The anonymous masters choose to preach in the language of electro-acoustic music instead of the language of words which mean nothing in the tempted world. (1 track - 77 min.) CD wrapped up in a gorgeous silk brocade comes in a book bound case (Ltd x350). Free streaming or immediate digital download of the album (MP3, FLAC or other formats) is available through Official R.A.I.G. Bandcamp. "It moves seamlessly from almost neo classical to electronic sound sculptures to Middle Eastern structured influences and religious incantations through Musique Concrete onto black ambience and beyond... Talk about taking ones breath away. The sheer depth and scope that Dynatos delivers beggars belief. Caught in a flux the music expands in every direction but is reigned in before escaping. Atmospheric and thought provoking it’s a piece of music that dares to be different... The music conjuring up emotions of strength and resilience. Of the human spirit at odds with the power of will. Just as human endeavour succeeds or fails this music uplifts and deflates bringing a joyous and depressive refrain all within the same time... Dynatos is a celebration to creativity. Pushing aside negative preconceptions the goal. There are no boundaries to this music. It will travel where it wants. Only the self made barriers of the listener can halt its progress. Open your mind and let the music flow. A top quality release that cements the growing reputation of this act and one that shouldn’t be ignored." – by ANM of Aural Pressure (UK) (December 2005). The album was also reviewed at: Rezultaty (Russia), FarFromMoscow (USA). "Irmologion". That word came into the orthodox religious tradition from Hellenic: irmos – a motet, and logeyo – to collect. 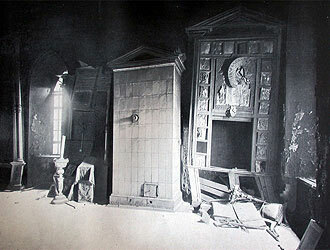 As a single-genre chapel-book, Irmologion was first compiled from a number of irmoses in the 10th century in Byzantium. A full version of the Russian Irmologion includes about 1050 irmoses and reproduces a specific classical structure, which is submitted to so-called "8-glas system" when the irmoses within each "glas" follow the exact order of 9 songs of the Canon. The purpose of this brief inquiry is to explain the album organization: 9 tracks (Irmos 1-9) in sequence which is of great importance for the perception of music. In fact, IRMOLOGION is far from interpretation of canonic motets; this more resembles a horror-documentary soundtrack redefining one's dark vision of the world intoxicated by deceits, illusions, and errors. Consistently dark and deeply disturbing chants grow up from some distorted references to holy hymns and raise up everything to the level of apocalypse. Here, the Ceremony is no more a source from which the author draws his inspiration but an act provoking him to create a stunning alternative and send this painful challenge to the tempting and rupturing dogma. (9 tracks - 73 min.) Deluxe cardboard packaging designed by ZonderZond further advances IRMOLOGION sound and vision (Ltd x350). "Quite a unique sound, and very hard to pigeon-hole. Some nice dark vocal effects add to an overall dark and undefined atmosphere created by this interesting music. There’s a certain freedom about this music that is had to quantify. There is a good variation of textures here, random rhythm and abrasive samples and vocal effects." – Aural Pressure (UK) (September 2004). "Experimental electronic music, with deep drones, interesting textures, metallic percussion, sombre chants and a compelling, apocalyptic atmosphere. 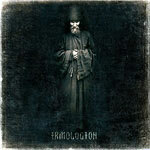 Very nice dark ambient with ritual, religious undertones." – Funprox (The Netherlands) (October 2004). The album was also reviewed at: Stigmata Magazine (Belarus), Rezultaty (Russia), FarFromMoscow (USA).